If you’re into traveling all over the country and want to have the best experience possible, then you’re going to want to purchase a Class A motorhome. I’ve been traveling around the country for well over 20 years and have test driven (as well as rented many different models) all types of RVs. I will let you know the top 25 reasons on why you should make the Class A motorhome the go to motorhome of your choice. Class A motorhomes not only look nicer on the outside but they’re going to give you all the extra amenities that you desire when being out for an extended period of time on the open road. They are the most customizable of all three different classes and they’re the most expensive (for good reason). There are a few drawbacks of having a Class A motorhome. The price can reach into the millions if you want to really go overboard but most of them are moderately priced into the $50,000 to $100,000 range. The price and size are the two main draw-backs. They can be difficult to find parking for in campgrounds if you choose one of the larger models, and they can also be hard to navigate if you don’t have much experience in handling larger vehicles. Let’s get into the top 25 reasons why you should purchase a Class A motorhome. If you’re new to driving RVs you might not think this is very important to have. Let me tell you it’s extremely important. Without being level on the campgrounds (most Class C motorhomes don’t come with automatic leveling), the structure of your RV can be weakened or the chassis can get damaged. Not only that, it can cause the chemicals in your refrigerator to not be level. That can cause the ammonia liquid to not properly flow and your refrigerator won’t cool properly. No one wants to be eating spoiled food or wasting money throwing food away. Some of the Class C motorhomes out there are well equipped for the cold winter seasons, but often times you see them with their valves and dump pipes extended open below the coach which can definitely cause you problems. With Class A motorhomes the pipes and dump valves are going to be tucked up into an insulated compartment so you’re never going to have to worry about the pipes freezing. With the behemoth build of the Class A motorhomes, you’re going to get more guaranteed room just about everywhere. When you have larger tanks it allows you to have to change them less often (depending on the amount of people you’re traveling with). If you’re traveling with just your spouse and you, you’ll be able to go quite a while without having to empty your tanks. If you’re traveling with a large family you could be changing it as often as every other day. With the Class C motorhomes, you can read horror story after horror story of leakages happening in the cabin-over area. This will make it to where you have to spend more money removing the moulding and sealing it with caulk later on. With Class A motorhomes, they typically have fiberglass roofs and leakage will not be a problem. When driving the Class A RV, it will have you surrounded by nothing but windows so you can enjoy all the majestic views of the outdoors. With Class C RVs, you’re going to have a cabin over the driver seat (the alcove), which can obstruct your vision when driving. Driving the Class A RV will enhance your driving experience overall as well as it will be much more comfortable when driving long distances. Since we’re talking about driving, let’s talk about the floor plan. The Class A floor plan is designed more for everyone to feel included. Often feeling more like a home inside a huge bus, than an actual camper, the Class A RV let’s the driver spin around in his seat and feel like he’s part of the family. With the Class C RV, there’s often a wall or barrier that separates the driver from the living space which can make you feel separated from everyone. 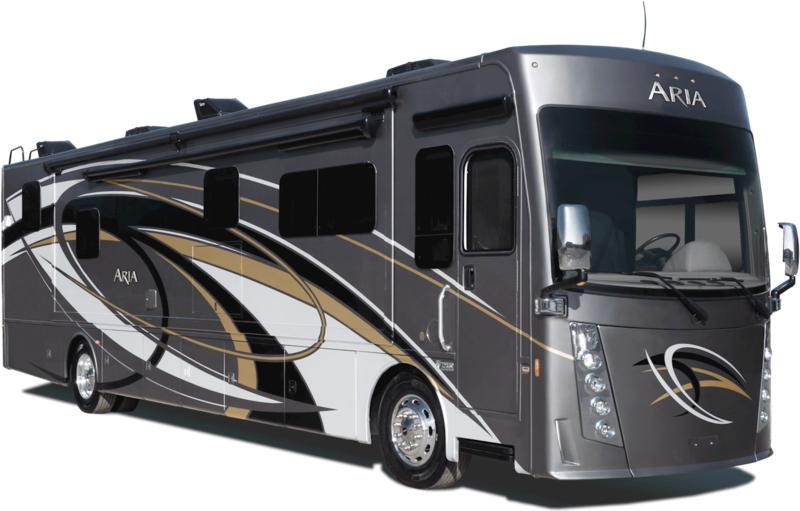 The Class A RV is going to give you all the luxuries of feeling like you’re at home. Whether you’re looking for large kitchens, full-size bathrooms, recliners, sofas, or even a top of the line entertainment system, the Class A RV has it all. With being the most customizable RV out of all the RVs on the market, if you want something in your Class A that they don’t have, you can probably ask them to add it for you at a little bit of an extra cost. If there’s anything you want when talking to the dealership, make sure to let them know right away and they’ll do everything in their power to get you exactly what you’re looking for. Don’t be afraid to walk away and let them know that you’ll be looking at other dealerships to see what type of deals they have there (it’s best to let them know up front that you’re shopping around and don’t intend on buying until you’ve had some time to search multiple dealerships for the best deal possible, this will allow you to negotiate when you come back). Since Class A motorhomes guarantee you the most space out of all the classes of RVs, it will allow you to sleep more people that you’re traveling with. The most spacious of RVs can sleep up to 12 people comfortably. These sometimes come equipped with two bathrooms to make sure you have the best cross-country experience possible. The last thing you want is when traveling with so many people is to not have enough time and space for everyone to use the toilet. Even though the Class C motorhome width can be as wide as a Class A motorhome, a lot of the space can be taken up due by the engine cover (sometimes called the doghouse). If comfort is one of your main concerns then you’re going to lose out on a lot of it by getting a Class C RV. Class A RVs will give you all the comfort and space you need to fully enjoy riding across the country with your loved ones. The front of the Class A is taller and has a flat front, which will make it more problematic when it comes to windy conditions and possible rollovers. Taking turns slow and wide, as driving slow can help lessen the risk of rollovers. I’d also suggest taking a professional, in-depth, complete RV driving safety class, or finding a friend or family member that’s highly experienced in driving Class A RVs or semi-trucks (since they drive very similar). The two most common reasons for rollovers in Class A motorhomes is being overloaded, and driving too fast. Make sure you know your vehicle limits and practice safe driving. If you haven’t had much experience in driving larger vehicles, it can be intimidating your first time. Don’t be afraid to take some classes and learn from someone who’s willing to share their driving knowledge with you (the knowledge that you learn from them can go a long ways in keeping you and your loved ones safe). Since the Class A motorhome comes with a single long chassis, it’s going to feel a lot smoother than driving a Class C motorhome which have a chassis built into the truck with a cab attached to the back. A smoother ride can often be the difference between continuing driving for more hours in your ride, or having to take a rest break every so often to keep your comfort level manageable. Classs C motorhomes are know to drive more like a Uhaul (which is basically what it is) and the ride can be pretty uncomfortable. Most the Class A motorhomes will come with extra shock absorbers and stabilizer bars at both the back and the front. The Class A motorhome really has it all. If you’re going to be out for a long extended period of time, then you’ll probably have to do your laundry (especially if traveling with large amounts of people). It’s a luxury that anyone would want, but you have to remember to do small loads at a time, as laundry units in RVs aren’t meant to handle the same amount of heavy loads that are done in your home. If you’re looking for an ample amount of storage, you can find it in both the Class A and the Class C motorhomes. If you want to have even more storage, go with the Class A. Usually you won’t need all the space that the Class A motorhome provides, but if you’re traveling with a large amount of people, it will definitely come in helpful. You don’t want to be traveling cramped inside a smaller Class C motorhome when traveling with your large family. When it comes to the term, bigger is better, the Class A motorhome really hits the ball out of the park. Since this is going to be your home when driving, it would be the equivalence of trying to choose between a two-bedroom apartment or a four-bedroom house. Although rare, Class A motorhomes can reach up to 52 feet in length . The average length of most Class A motorhomes will be closer to 33 feet in length. If you want to find a Class A that you can park in campgrounds, I’d suggest getting a more moderately sized one. If you just want to look like a rock star and travel across the country and visit different national parks and other scenic places then go ahead and go for the biggest Class A possible (as long as you feel comfortable with driving it and have knowledge about the weight limitations and other concerns that come with driving an oversized vehicle). Just remember that driving it and parking it in the city will be extremely difficult and will probably give you many problems. Since Class A motorhomes are all about luxury, the manufacturers want to give you as many possible choices as they can. They figure the more floor plans they can offer, the higher chances you’ll find something you like. Not only that, but once you take a look inside the Class A motorhome, there’s usually a pretty good chance that it’s going to captivate your interest and make you fall in love with it. There’s nothing better than walking into a RV and feeling like you’re right at home, or maybe you feel even better than being at home! You won’t just get more room for cooking, you’re going to get more room with the dish drawers, countertops, full-size household appliances, a dishwasher, and many more amenities that you’d want in your kitchen. With the huge size of the Class A motorhomes, you’re going to need as much horse power as possible. You can find a nice diesel fueled Class A motorhome also known as a diesel pusher (because their engine is in the back), which will offer a lot more torque to help you get over any steep mountain passes and tow larger vehicles or trailers. Although both the Class A and the Class C motorhomes are designed for safety, the Class C will offer better protection for only head on collisions. When it comes to getting rear-ended or side collision accidents, then the Class A does a better job when it comes to safety measures. If you didn’t think for whatever reason that you’re motorhome had enough room in it, there’s some Class A motorhomes that offer additional slideouts and will give you that much more space. If you’re for whatever reason not satisfied with the spaciousness that comes with your Class A motorhome, ask the dealership if they have any Class A motorhomes with additional slideouts. With the Class As you’re going to find all the space you need to store your food for your long road trips. They offer both two way and three way refrigerators to make sure you have all the storage necessary. If you have a big family and need to pack a lot of food this will definitely come in handy. Whether you are planning for the weekend or the whole week, having a full size refrigerator has many more benefits than using a mid-size fridge. When it comes to comfort, the class As will make all your dreams come true. They offer more luxury then some homes. Many of them come with king or queen sized beds. It’s like you’re driving around in your apartment on wheels. Whether it’s the space in the living area, the space in the kitchen, or the space in the beds, the Class A is going to offer you more space than the Class C no matter where you look. The Class A is going to give you less problems in the long run. With Class C motorhomes (not with all of them but there are a lot of awful stories on the internet), you can run into a bunch of little problems that add up over time and can cause a headache when trying to fix. With the Class A, it’s quality all around. Now with any vehicle, there’s always plenty of possibilities something can go wrong, but all in all the length of a Class A is going to last much longer when well taken care of. The Class As are going to be much quieter when driving, because you don’t have to worry about the cabin space noise that you’ll have to deal with when driving the Class C RVs. I’ve read on online forums that when they were driving, some people had to scream at each other during the ride just to be able to hear what the other person was saying (I’m assuming they weren’t sitting right next to each other). The Class A is not only a smoother ride as stated before, but it’s also a much quieter ride (whether you choose gas or diesel) than the Class C. I’m sure you can find some Class C RVs that aren’t very loud, but for the most part the Class A is going to be a quieter more enjoyable ride. When hitting the open road, the last thing you want is for your motorhome to break down in the middle of nowhere. Unfortunately for a lot of people that decide to get an older Class C RV, that can happen if proper maintenance wasn’t done on it by the previous owner. With the Class A, you’re going to get an all around better vehicle that’s going to last longer without as many issues. The Class A looks like a rock star motorhome. It even feels like a rock star motorhome when you go inside of one. Whether you want a hot tub, a fireplace, heated floors, multiple entertainment systems in your motorhome (https://www.thisisinsider.com/luxury-rvs-mobile-homes-2018-6), there’s something for everyone (if you can fork out enough bucks to buy it). Want to find the biggest bang for your buck? If you can’t afford to pay an insane amount of money for the most luxurious Class As on the market, there’s a lot of more affordable ones that you can get a really good bang for your buck. You might have to do some searching around, but there’s always many affordable, quality RVs on both RV USA or https://www.rvtrader.com/find-rvs-for-sale. Take a look inside and see for yourself. When it comes down to it, Class As are everything that Class Cs aren’t and more. This may be my biased opinion but I’ve rented a lot of RVs before buying them and experienced my fair share of both Class Cs and Class As. Class A motorhomes are giving everything you need and want, and with the Class Cs it just seems like it can be all the little nuances that can make life frustrating. After riding in my first Class A, I couldn’t imagine switching back to a Class C ever again. This difference is night and day. and find a good used Class A that you can buy. There’s something for everyone, and don’t be afraid to negotiate the price. I hope you consider everything when deciding what type of motorhome to purchase next. The Class A is the king of motorhomes and will beat out the competition in just about every department. I hope this article was helpful in showing you everything you’re getting when purchasing your next Class A motorhome.e.